1 Then the whole assembly rose and led him off to Pilate. 2 And they began to accuse him, saying, "We have found this man subverting our nation. He opposes payment of taxes to Caesar and claims to be Christ, a king." 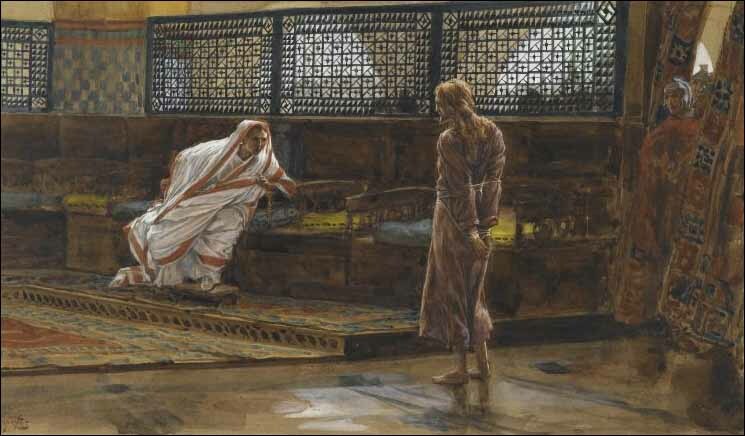 3 So Pilate asked Jesus, "Are you the king of the Jews?" 4 Then Pilate announced to the chief priests and the crowd, "I find no basis for a charge against this man." 37 "You are a king, then!" said Pilate. 38 "What is truth?" Pilate asked. With this he went out again to the Jews and said, "I find no basis for a charge against him.